If you live in a cramped European city, the idea owning a premium sub-compact car is very attractive. Here in America, not so much. But in cities like London, Paris or Rome, something like an Audi A1 is a very good idea. This new one especially, as it combines the tiny footprint for easy maneuvering and parking with a super stylish exterior and some genuine luxury and technology. In this new video from Joe Achilles, we get to see what all the fuss is about. Typically, Achilles drives BMWs, as he owns an M2 Competition. But in this video he tests the new Audi A1 to see how it is as a fun city car. It’s a car he claims he was excited about when it was first announced, so he’s able to test it objectively, even as a BMW fan (we kid, no beef with the M2 Competition here). So what’s the A1 like to drive? Well, for starters, it’s very grown-up feeling. It’s comfortable, relaxed and quiet, especially when you consider that it’s a very small car with 18-inch wheels. Still, it’s a mature car that customers used to more premium cars will be very happy with. And that’s sort of the point of the A1. It’s designed to be efficient, easy to drive, economical and comfortable for city driving but also premium enough to offer at least some of the creature comforts of a luxury car. Is it fun to drive, though? It seems capable enough, with impressive grip and sharp enough steering. But it’s very isolated from the experience of driving. The quiet, comfortable cabin sort of erases the sensation of speed and it’s not exactly thrilling to drive. However, it must be said, the Audi A1 isn’t a hot hatch and that’s something that Achilles has to keep reminding himself of, as his tester is quite expensive and flashy looking. It’s not thrilling but it’s not really supposed to be. He also tests its practicality, as he uses the A1 to pick up some new tires for his BMW M2 Competition. With the rear seats folded down, there’s a surprising amount of cargo space and it can swallow up four tires with ease. So as a practical, efficient city car, the Audi A1 is surprisingly good. It looks great, has really nice interior with class-leading technology and is nice to drive. It’s not exactly the most exciting car to chuck around but it’s mostly designed to be comfortable and pleasant while puttering around tight city streets and navigating traffic. 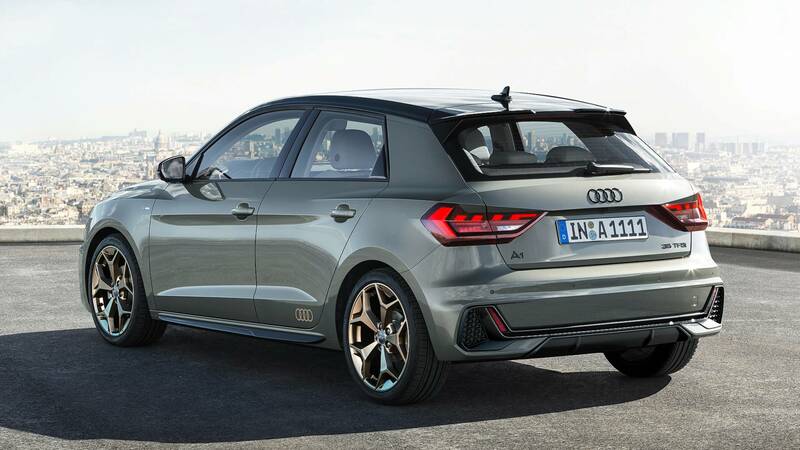 According to its design brief, the Audi A1 nails it.